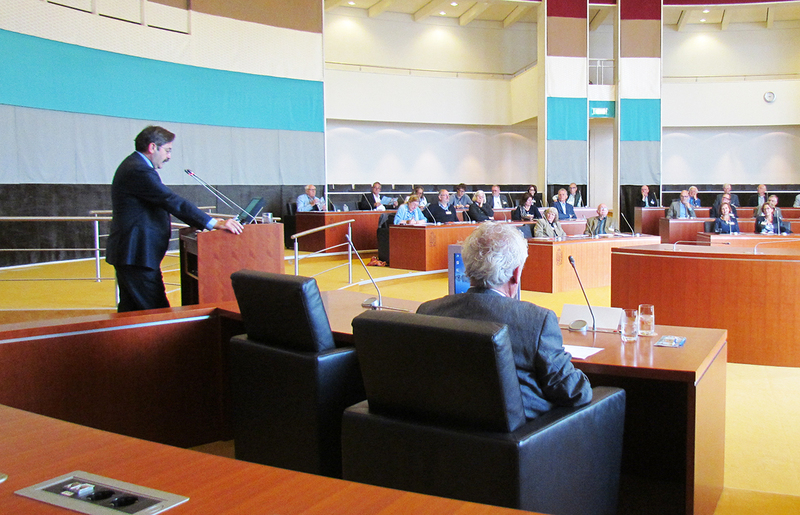 On october 8th Douzelage Meerssen celebrated the 25th anniverary of Douzelage by organising a symposium on the Maastricht Treaty and the future of the EU. The symposium was held in the same building where the treaty was signed. The over 70 participants got more than something to think about. Douzelage has an important role in creating mutual respect and understanding between the citizens of the EU.